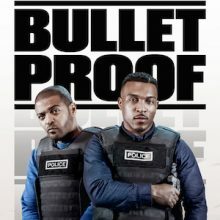 Noel Clarke returns to our TV screens in Sky One’s hotly anticipated ‘Bulletproof’ with Ashley Walters from 15th May at 9pm. Bulletproof follows two cops, Bishop (Noel) and Pike (Ashley), as they chase down hardened criminals in London’s East End. On the surface Bishop and Pike have a lot in common they are cool, smart, unapologetically street-wise and tough; they share a deep, fraternal relationship – and are always there for each other. However, they come from very different backgrounds and their personal motivations and emotional lives outside the police force differ as a result. Pike is an aspirational family man, the son of a decorated police officer who’s determined to follow in his father’s footsteps, but not be in his shadow. Bishop grew up in care homes and on the streets, and never knew his father.